This month’s sculptures from Hadrian’s Villa are a pair of marble herms whose heads are traditionally identified as Tragedy and Comedy. 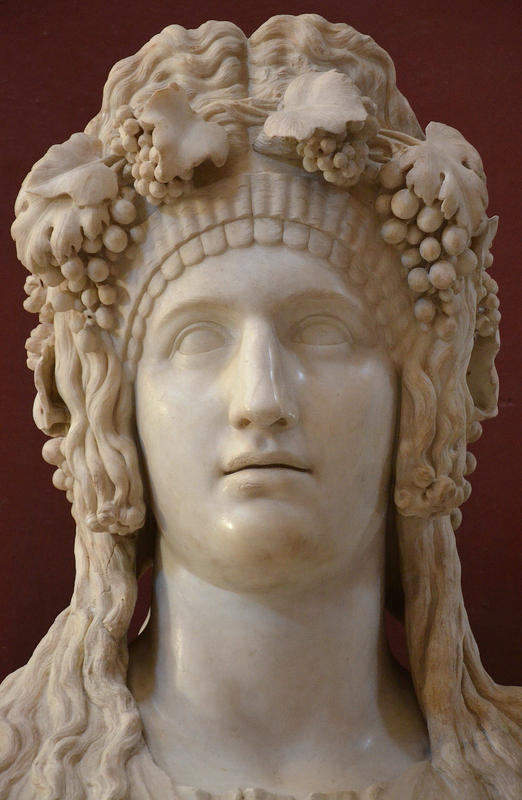 Marble herm representing the personification of Comedy wearing a crown of leaves and grapes. 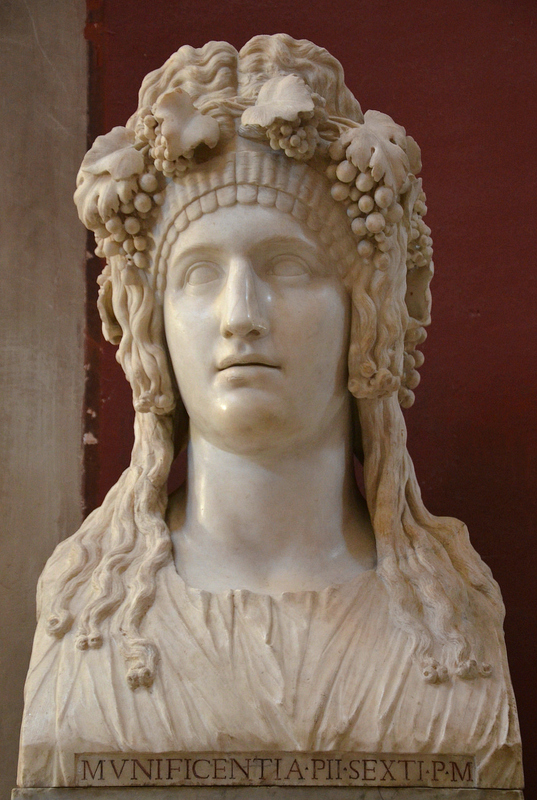 Marble herm representing the personification of Tragedy. According to the Italian archaeologist Giovanni Battista Visconti, both herms were found in 1735 by the owner of the Villa, Giuseppe Fede, near the entrance of the Greek Theatre. 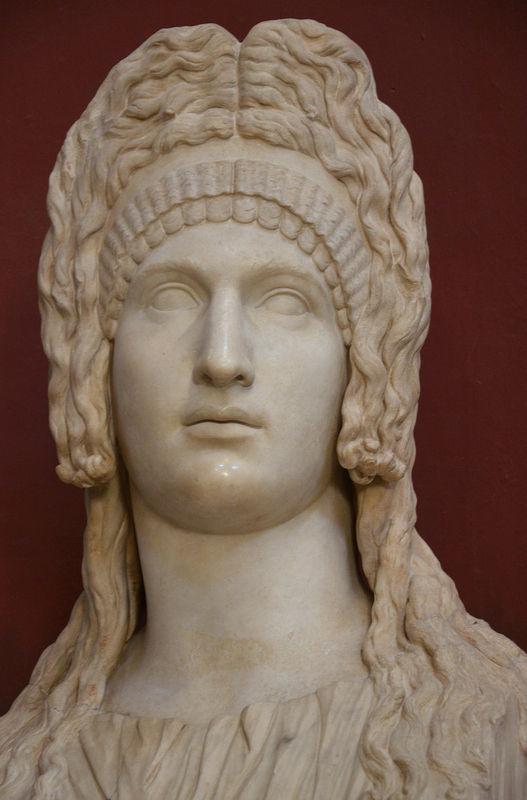 It was acquired in 1777 by Conte Centini, heir to Conte Fede, for the Vatican. The sculptures were heavily restored in the 18th century by the Italian sculptor Bartolomeo Cavaceppi, the faces having been reworked in depth. 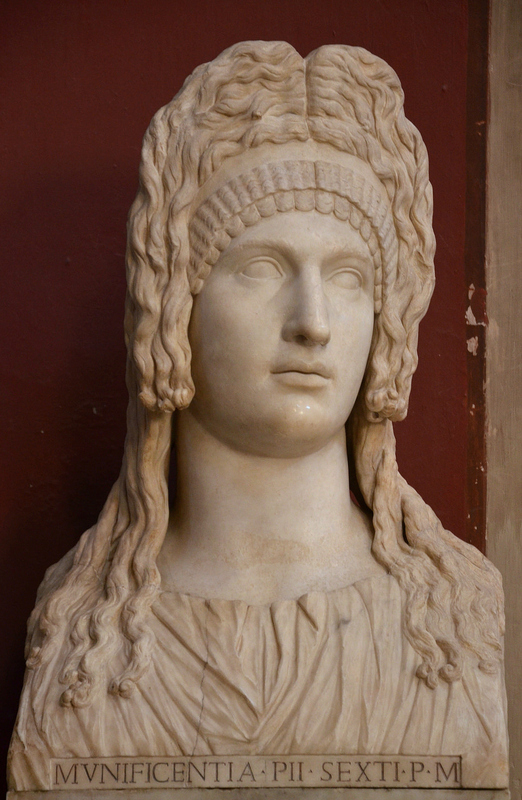 They are now in the Vatican Museums in the Sala Rotonda (Pio-Clementino Inv. no. 262, Inv. no. 285). The so-called Greek Theatre was built on a natural slope whilst the exterior part of the cavea was set upon vaulted substructures. It had a rare oval plan and could hold around 3,000 spectators. Its reduced dimensions suggest that this small theatre was frequented only by limited number of people belonging to the imperial court. 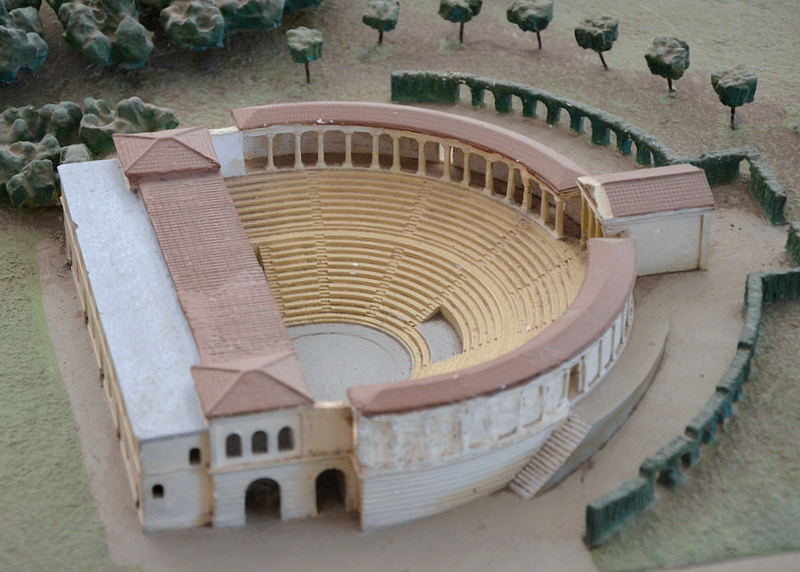 Model of Hadrian’s Villa showing the Greek Theatre. The theatre had a scaenae frons (stage building, no longer visible), a semi-circular orchestra, a cavea with two blocks of seats divided into two segments by an aisle to which were connected three vomitoria (entrance passageways). At the top of the cavea was a small rectangular room which probably served a sacred function. The theatre dates to the second building phase of the Villa (125-133 AD). Very little of the decoration of the Greek Theatre survives, except for the two herms of Tragedy and Comedy.